After a busy day at work or school many families in the UAE find it hard to set aside time for a healthy meal. We all know that home cooked, nutritionally balanced meals are better for us but many families in Abu Dhabi and Dubai have hectic schedules with little time for cooking at home. However, planning ahead of time can help you save time in the long run. In this Q&A a personal trainer in Abu Dhabi gives us some tips and ideas. Many families in Abu Dhabi have the best intentions when it comes to meal planning for a healthy lifestyle but due to often hectic schedules these intentions can fail after a while. It’s far too easy to order take-out and the ‘now and then’ aspect of ordering food soon becomes a regular habit. Not all take-out food is bad but we all know that home prepared and home cooked is probably best for you and your family. Meal planning can be the key when it comes to managing your time more effectively and meal planning doesn’t mean you eat the same foods day in day out. Some people just need support and ideas when it comes to creating nutritionally balanced, ‘good for you’ meals and this is where a personal trainer or nutritionist can really help. As a personal trainer and nutrition expert in Abu Dhabi what are your top 10 tips when it comes to meal planning for busy families? My first recommendation on this matter would be not to follow any pre-set, standardized diets that are being marketed as a “quick fix” for your weight/health/lifestyle issues. There is no such thing as a “one-size-fits-all”. Every individual in the UAE should learn about their body and customize their eating and exercise habits to best fit their own lifestyle. A good first step would be to determine what your goals are and what are the key areas you would want to address when it comes to your health and fitness. We cannot emphasize this enough: START YOUR DAY WITH WATER. It is recommended to drink at least 1 ltr of high-quality water the first thing you wake up, before anything else. It will help wake you up and cleanse your entire system. Incorporate in your diet 1 liquid meal per day in a form of a healthy smoothie or a vegetable juice. Green, leafy vegetables, celery and beets are some of the top ingredients for this option. Include high-dense-nutrient foods in your diet, such as quinoa, sweet potatoes, lentils, avocados, black rise. You can customize your recipes to your liking, depending on your cultural and individual background. Cut out all processed and refined foods, especially in the evening. For meat consumers, always opt for lean meats and fish bought from fresh farmers market to avoid unnecessary additives. Small cycle intermittent fasting periods are a great way to help you cleanse and reset your system a few times a month. Be proactive when it comes to your weekly/monthly meal plans. Stock up your fridge with fresh fruits and vegetables and your cabinets with healthy staple grains (black rice, quinoa, gluten-free pasta) so you avoid last minute order-ins that tend to be unhealthy and bad for your diet. Upgrade the quality of water that you consume. Avoid tap water and desalinated water brands. 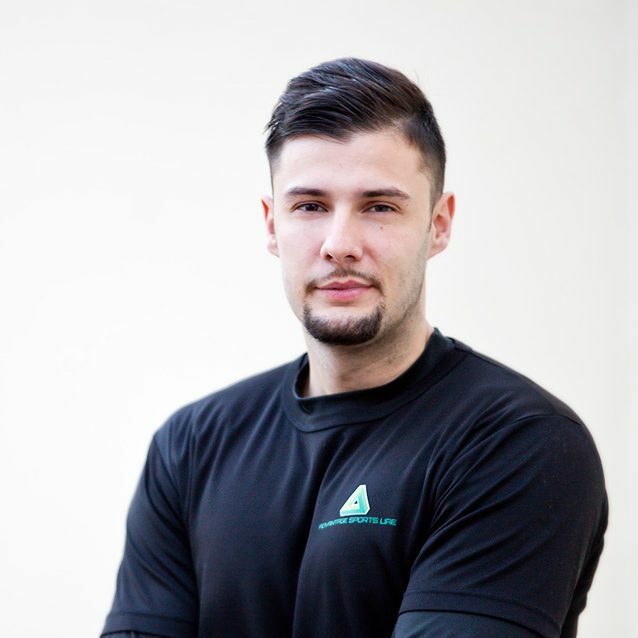 Uros Petrovic is a home based personal trainer in Abu Dhabi who works with Advantage Sports UAE. He is an expert when it comes to general fitness and can design specialist training plans for teenagers and children in Abu Dhabi. You can view Uros’s full Abu Dhabi personal trainer profile by clicking the link below.